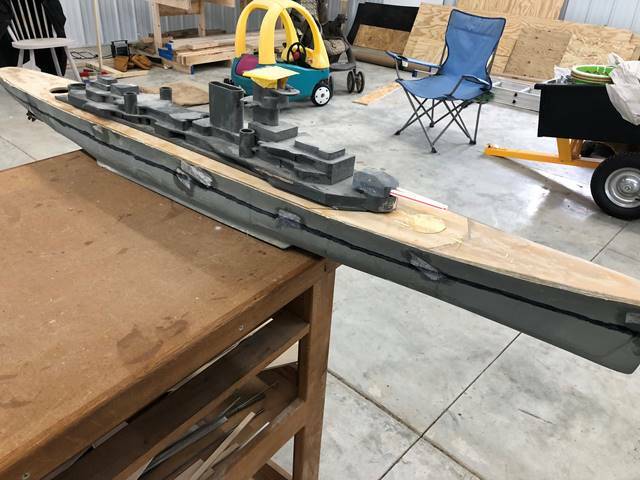 The Prinz Eugen was originally built and battled by Jason Schaffer in the mid 2000’s. I acquired it with a plan to give it some much needed technological and ease of access upgrades to hopefully pass on to a beginner some day. 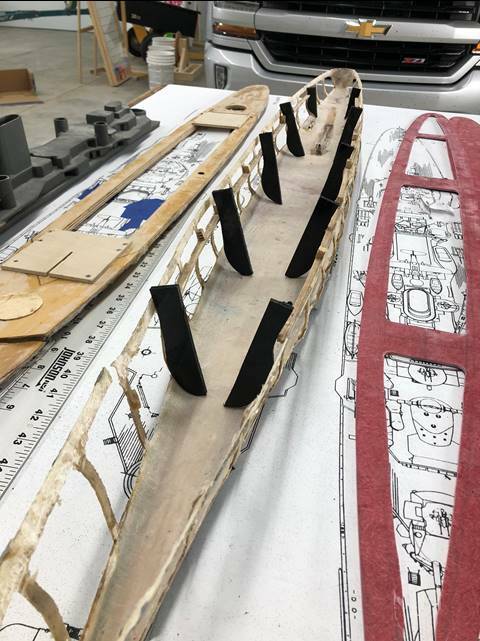 The wood deck/sub deck was glued in place with poor accessibility in the bow and the stern. 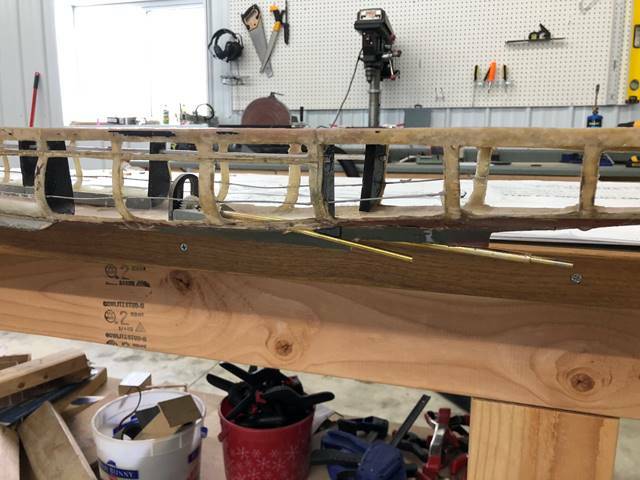 Though the wood work was well done and fit together seamlessly when built, essentially there was no way to work on the rudder without either cutting the deck completely off or working through the side paneling in the stern. Stuff breaks and access to internal components is an important factor in keeping a boat working over time. The PE is a big boat, however because of the 3 screw configuration turning can actually be an advantage. The rudder/prop should probably be moved to the stern a bit more than this. I like the 1.5 inch prop size for this big of a boat though. 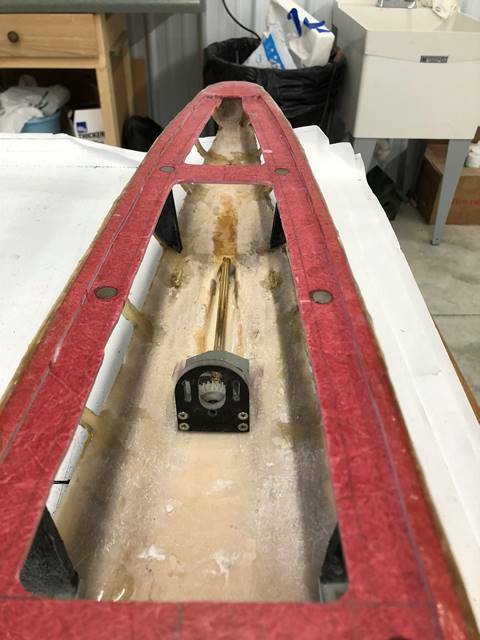 Additionally, flared fish tail rudders generally work well for single rudder ships and the current rudder is also too small. 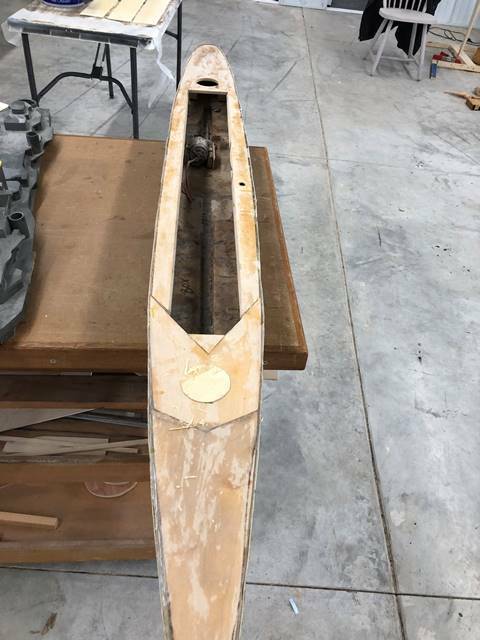 The deck/sub deck was pried from the fiberglass. It was never sealed so it was only a matter of time before it would warp and degrade. You can see the water channeling which is made mostly of foam with epoxy over the top. Most cruisers should put some water channeling in the bow and stern and a ship this big will need some water channeling elsewhere, but it probably has a bit much amidships with the true water channel being unnecessary in cruisers due to the already narrow hull. 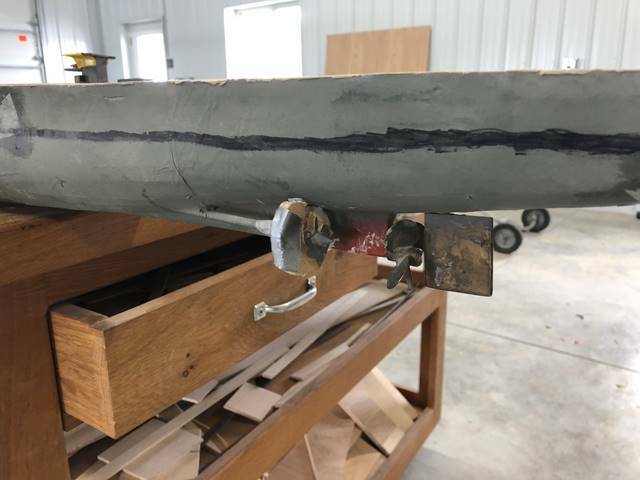 The PE has an armor belt, you can see the wood strip stringer backer here still in place, it will be replaced with a more resilient material, aluminum works well. 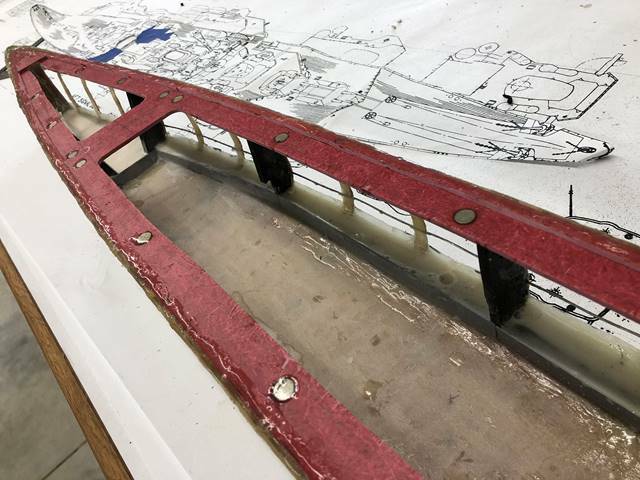 The hull itself is older and rather thin, so thickening the ribs with additional layers of fiberglass is a must. 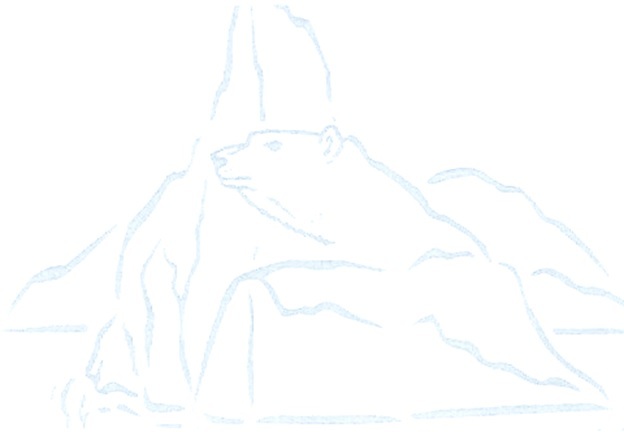 Water Channeling is removed. 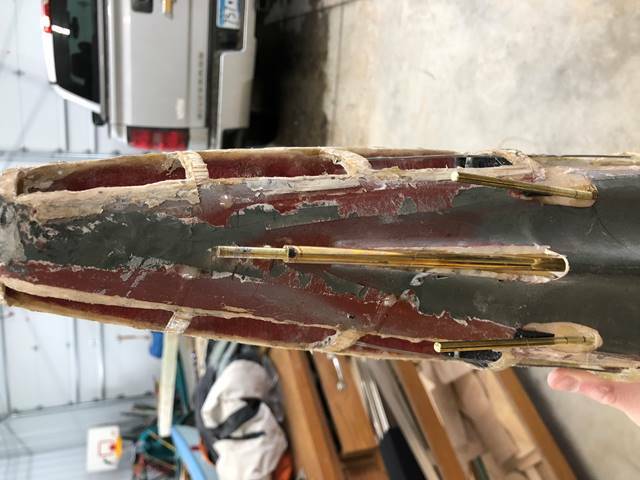 Here you get a good look at both the bulge and the stringer that rides along the top of it, made from strips of wood. 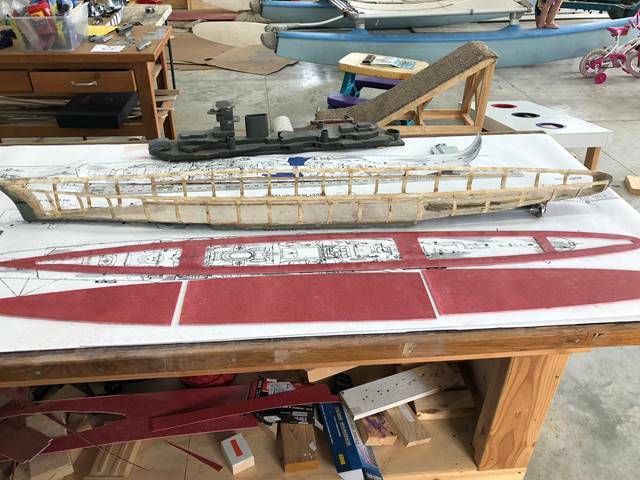 Deck and subdeck are fiberglass board. This is the first ship I’ve done this with. I was trying to make a no-wood ship. 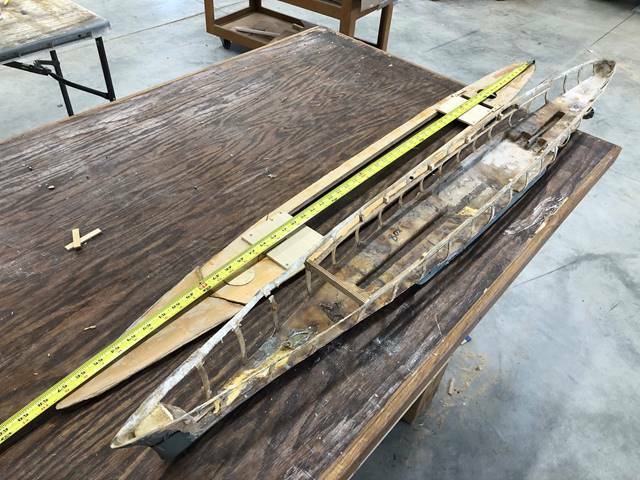 Sub-deck is 1/8 inch, deck is 1/16 inch with the outer/under width double thickness. The fiber glass is quite a bit heavier than wood and much more difficult to work with, carbide cutting tools are a must. Additionally I burned through about 10 scroll blades in the process, each one was good for about 12 inches of cutting. We will see how the fiber glass deck holds up over time vs wood. I’ve inserted 5 rib backers amidships made from ABS. These are to hold the deck/subdeck in a bit tighter with the rest of the structural hull. Also this is where I will hang the internal armor. 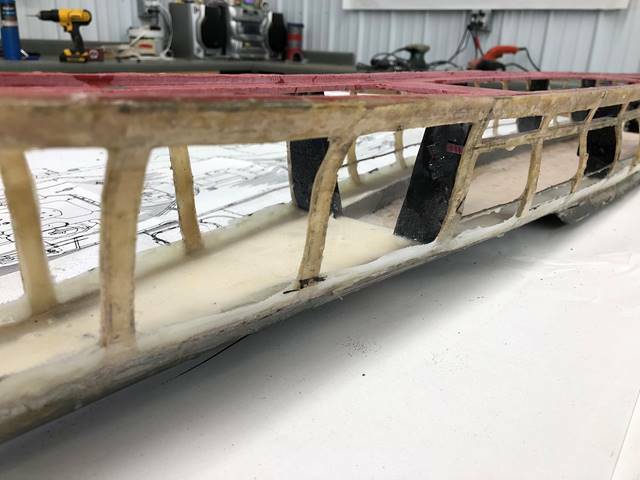 The deck/subdeck is glued in along with the back ABS plastic rib backers. You can see the aluminum stringer as well. 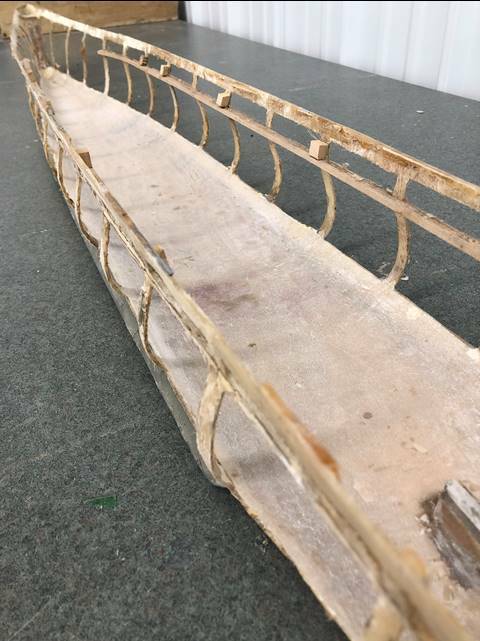 The bow of the ship and the sides were filled in with water channeling, in this case foam covered in epoxy with micro balloons. The penetrable window was raised by about ¼ inch by filling in with fiber glass cloth. The subdeck has magnets countersunk into it, as does the main deck. This should be strong enough to hold things in place but make it easy enough to remove. You can get a good look at the water channeling of the bulges. The stern end including the single active drive shaft. It will have a 1.5 inch prop which unfortunately needs a bit steeper of an angle on the shaft than I would like. The outer two drag shafts are at goofy angles to allow for the largest allowed drag disk if it is needed. The stern end from the bottom. Again the outer dummy shafts are at goofy angles but it doesn’t matter and will allow for the largest possible drag disks if they are needed. Drive shaft and gear box installed. It should run more efficiently with a larger geared motor rather than direct drive.